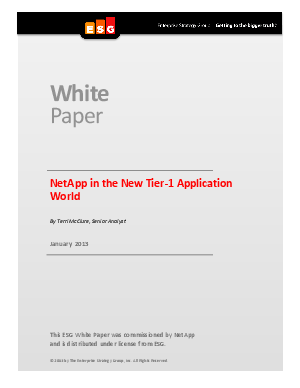 The performance, availability, and data protection associated with tier-1 applications were easy to meet when one application mapped to one server and a dedicated storage system. But to carry these features into a virtual world with pooled, shared storage systems and unpredictable workloads creates new demands. In order to reach an agile state in your business, access this white paper now to gain insight into innovative solutions catered to these new challenging demands.